1. Invest in a good U-lock – Cable locks can be easily cut, but a U-lock will prove more difficult for a would-be thief. Don’t forget to lock up those quick release wheels, too! 2. 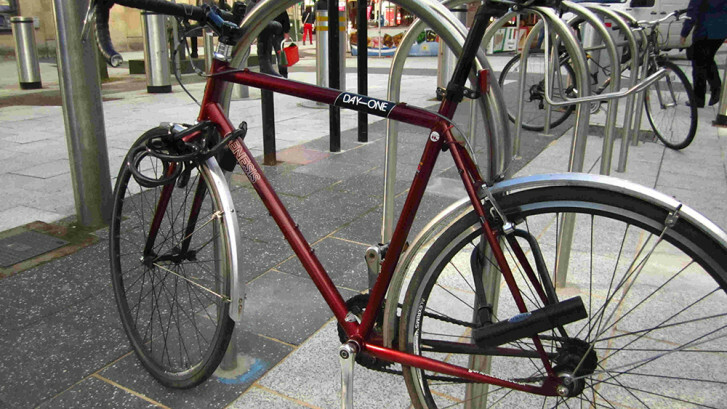 Lock up in a well lit area (bonus if it’s somewhere where you can still see it), and avoid leaving your bicycle outside in a public place over night. 3. Bikes get stolen from backyards and garages, so keep them stored out of view of passersby and lockup, even at home, for added protection. 4. Take pictures of your bike. If your ride is stolen, it is helpful for police and other cyclists in your area to know what to keep and eye out for. Many stolen bikes are recovered when someone spots someone who isn’t the owner riding them. 5. Register your bike with your local police force or Bicycle Collective. It’s only a nominal fee and, if your bike is stolen, police will use this information to verify that a recovered bike belongs to you. Also, write down the serial number (typically on the bottom of the frame near the cranks) in case your bike shows up at a pawn shop.